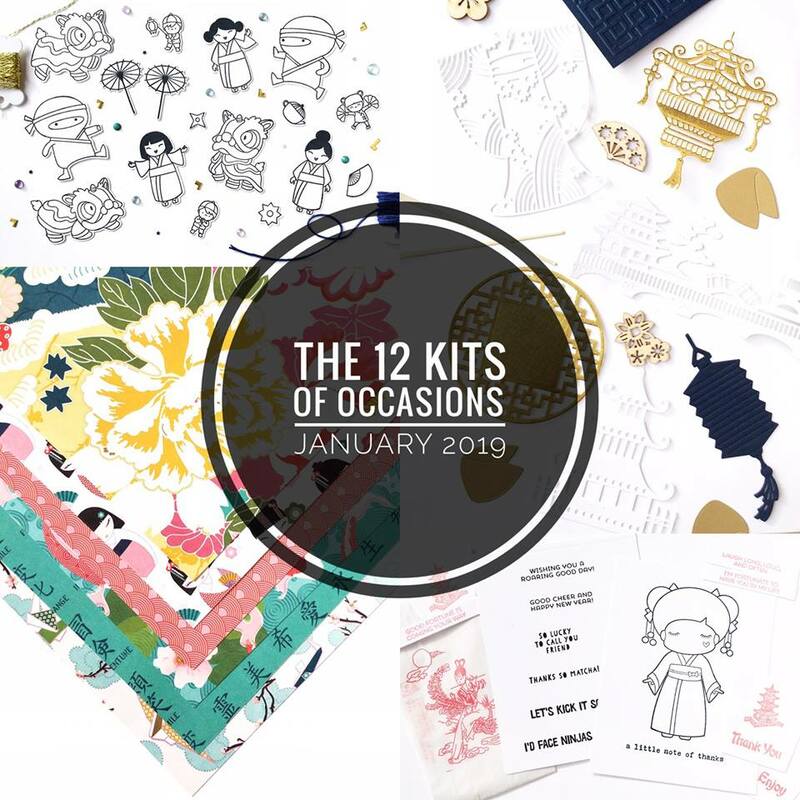 It's my favourite day of the month, the day that we post our projects for the 12 Kits of Occasions! 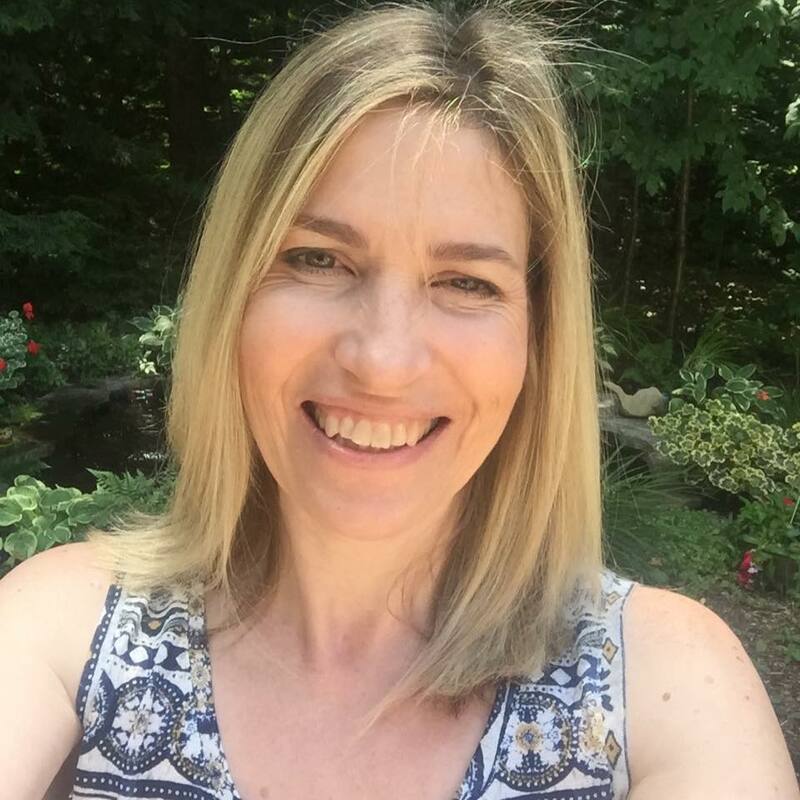 This month Jeanne Jachna, a Kept Life, was our hostess and she sent us a fabulous kits full of products that were new to me. 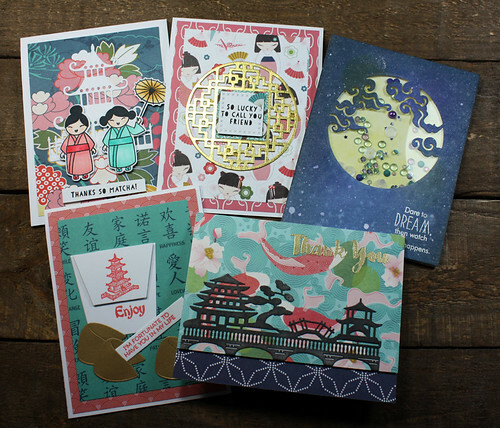 It is always so much fun to see what each person has sent to us each month. Every single kit that I have ever received has had things in them that I didn't have or sometimes had never seen before. That on it's own is fun but I love to see what each of my teammates has put together in a kit to work togeher! 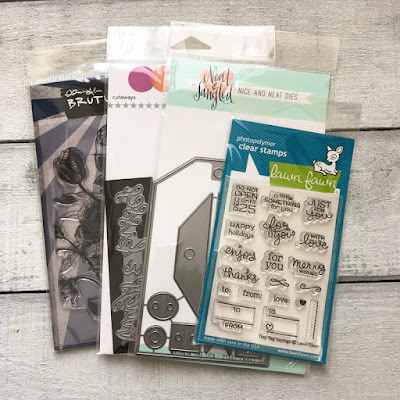 This one has some fabulous products in it and if you want to see what was included click on the Monthly Supplies link on the 12 Kits blog! 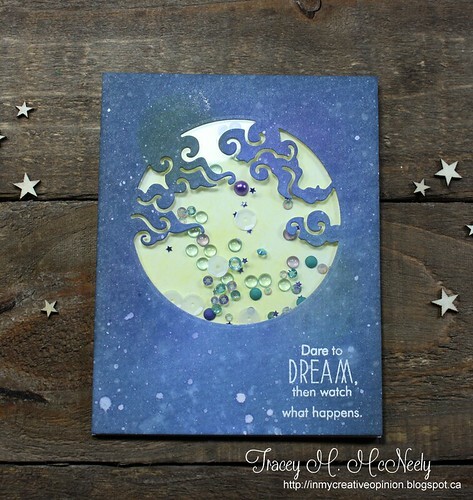 Jeanne's kit was full of fabulous papers, amazing stamped die cuts and fun embellishments. Here they are all together! 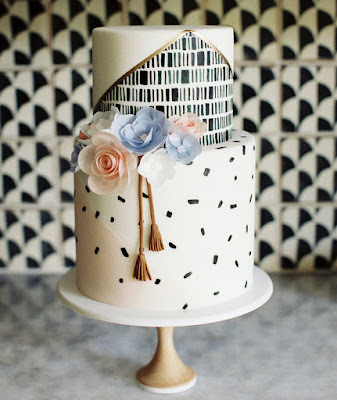 Hi and Happy Sunday! 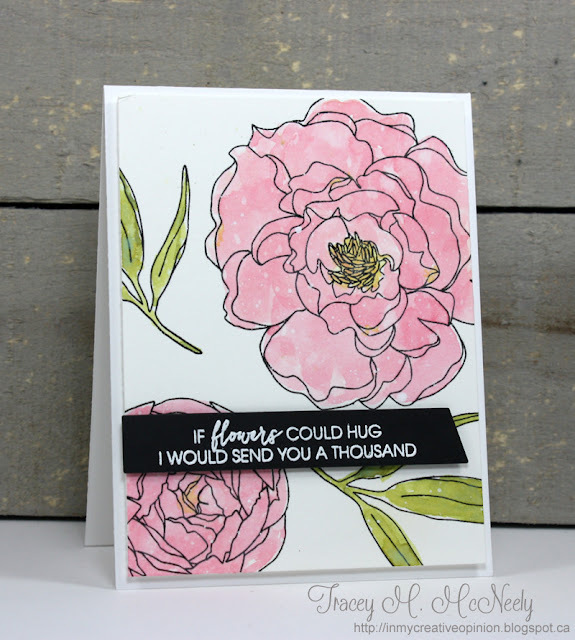 I am up on the Birch Press Designs blog today with a card for the Valentine's release Blog Blitz! Head over you won't want to miss the giveaway! 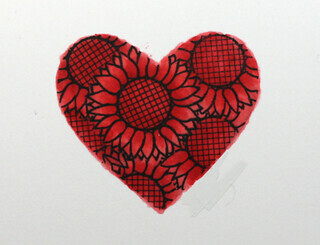 I have a card for the January Papertrey Ink Blog Hop! 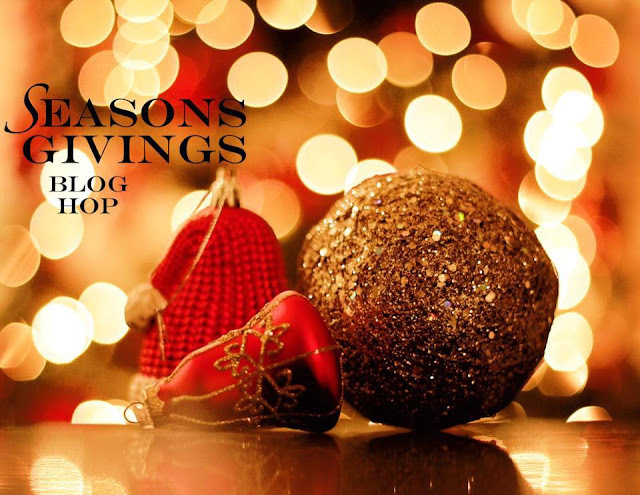 I have not participated in the blog hop for a very long time. 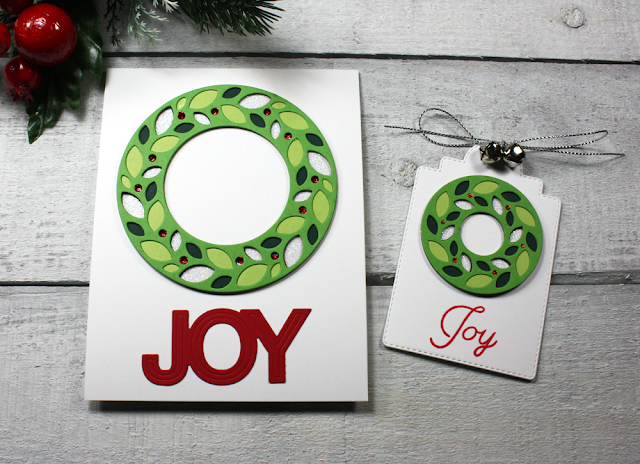 I was organizing my studio over the holidays and while going through some of my stamps I realized that I had so many Papertrey stamps sets that I bought because I adored them--so no better time to use them! I took my inspiration from the colours in the photo and used one of my favourite sets ever--Cutting Garden. 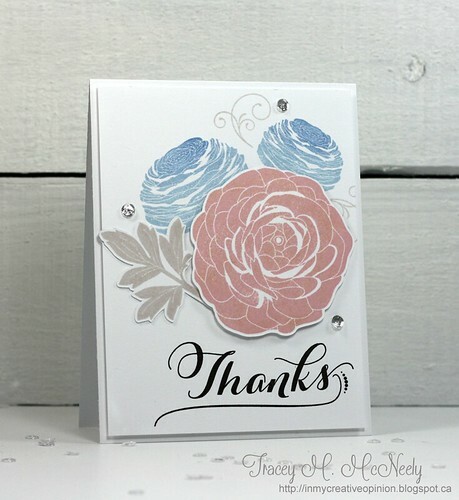 I stamped some details from Fancy Flourishes in my background and a sentiment from Grateful Greetings. The card was finished off with some clear sequins filled with silver Stickles and a generous coating of the ever so elusive clear 'Wink of Stella'. I tried to capture it in my photos but I think it is going to be the recipient that gets to enjoy it! Looking forward to hopping along, the gallery looks beautiful so far! I think it's safe to say that everyone is having a chilly day. We woke to a wild snowstorm here this morning and this afternoon the sky is blue and the sun is shining but the winds are strong and it is only -21 C with the wind chill, that is -6 F. Staying in seems like a good idea! 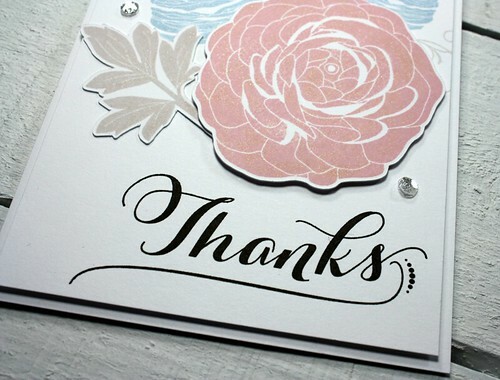 Thanks so much for stopping by and have a wonderful weekend! 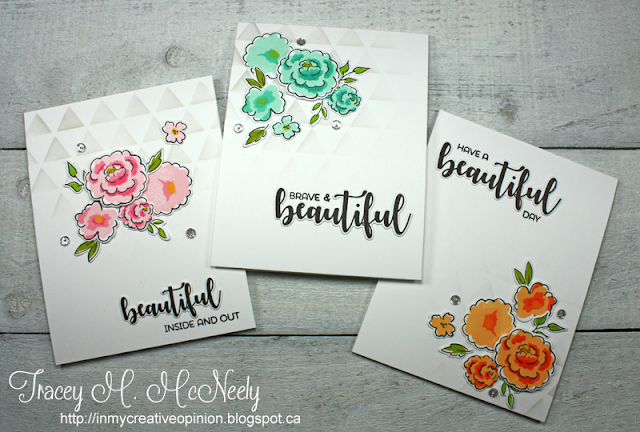 Hi there, I am up on the A Jillian Vance Design blog today with a card and quick process video made with the Best of Fall stamp set. 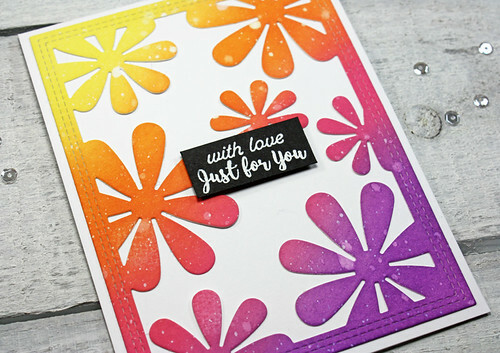 Hope you head over to A Jillian Vance Design to watch the video and see how I made this autumn stamp set work to make a card to send with love or for the one you love! Hey, Happy Friday! 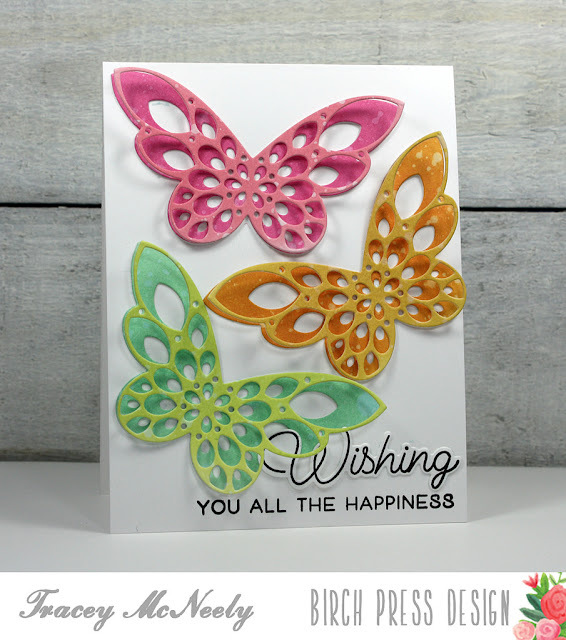 I am up on the Birch Press Designs blog today with a card and video using the brand new Shining Mandala Stamps and Layering Stencils! 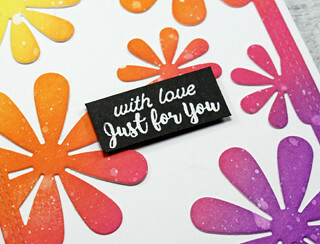 Hi I am up on the A Jillian Vance Design Blog today with a rainbow Valentine's Day card. 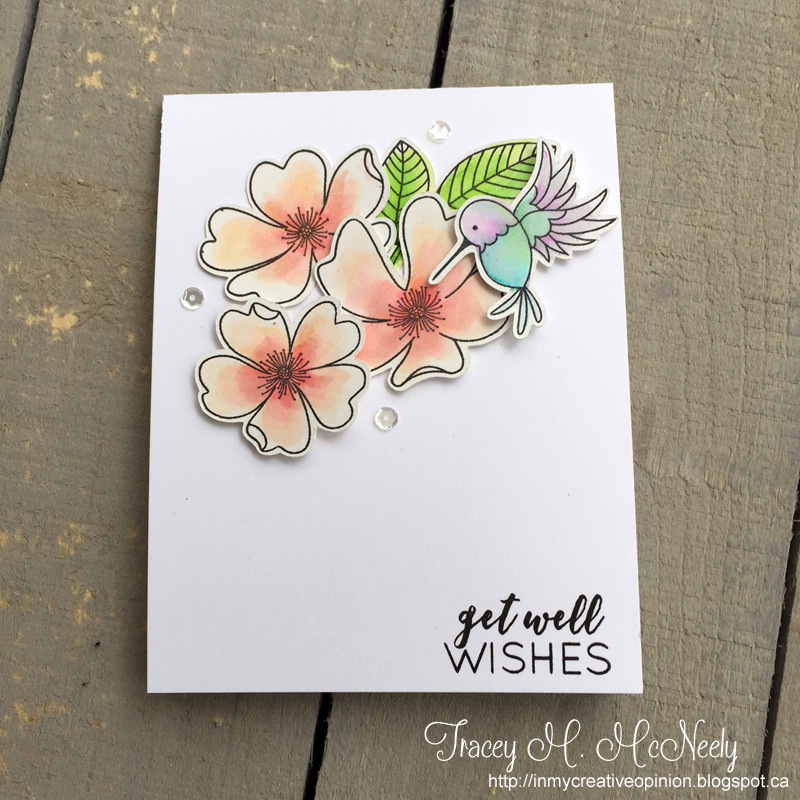 I hope it gives you all the feels on a winter's day with a rainbow of pretty flowers and a message of love! I would love it if you headed over and see how I created my rainbow card HERE! 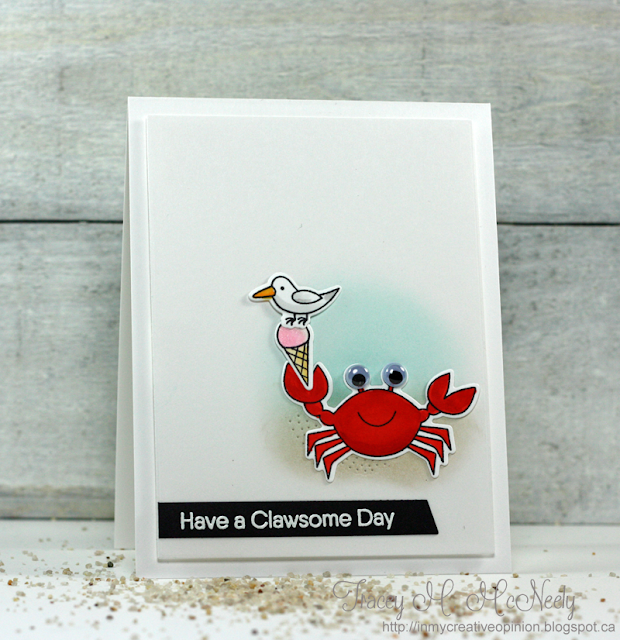 Excited today to share a card with you from the newest Catherine Pooler Stamps, Stamp of Approval Collection - Adoring You! 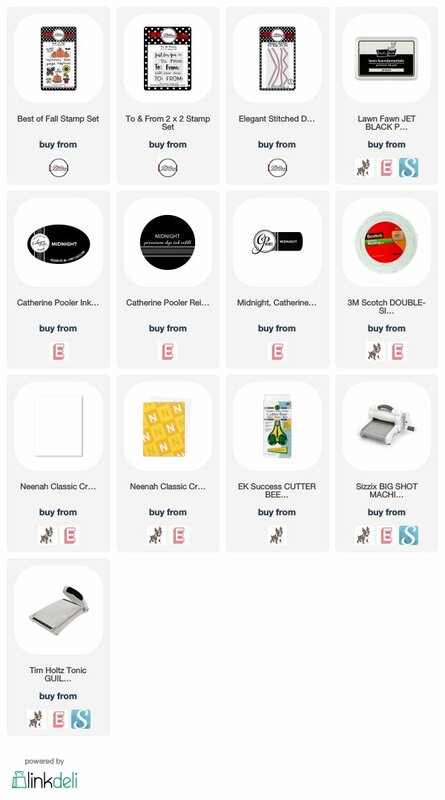 StampNation members are the first to be able to purchase the collection tonight, then those who join the Wait List can purchase on Wednesday morning, and finally it is available to everyone else on Wednesday evening. This is an exclusive, curated collection, which means that all the products were designed specifically for this collection and they work together beautifully. 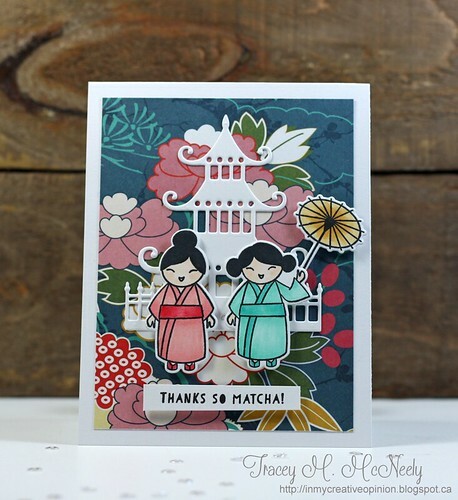 Stamp of Approval Collections often sell out. 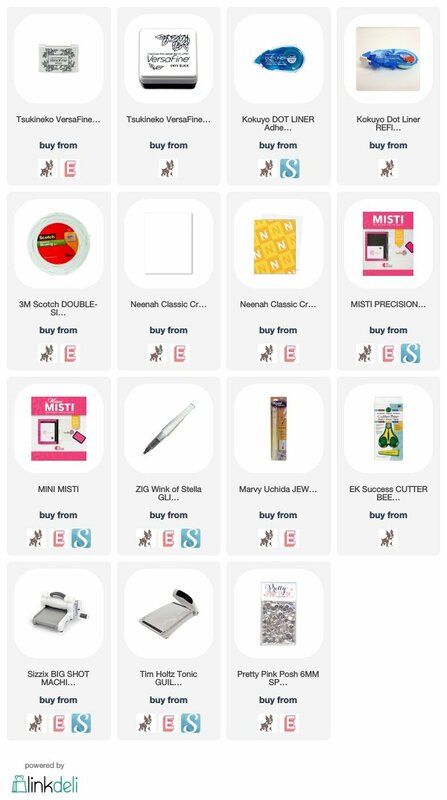 And the products in the collection won't be available again for many months. To read more about becoming a StampNation member, click here. To sign up on the Wait List, click here. 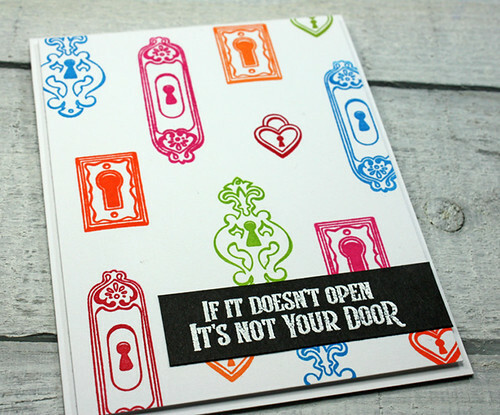 For my first card I used the fun new stamp set called The Key to create with. 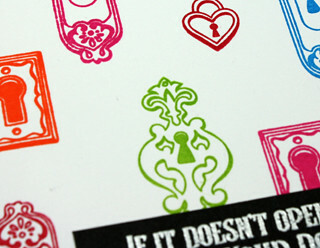 I stamped all of the various door locks randomly in different colours of Catherine Pooler inks. I used Something Borrowed, Rockin' Red, Party Dress, Tiki Torch, Orange Twist and Lime Rickey! The sentiment was white embossed on a strip of black cardstock. I used the new Happy Together stamp set from the collection for this card. 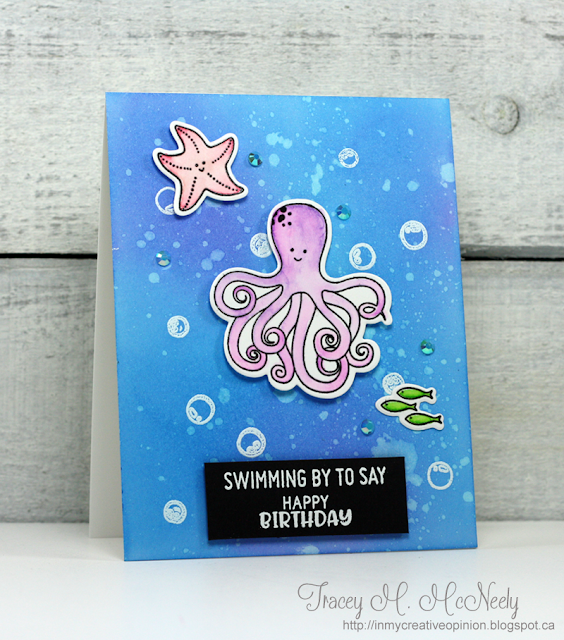 I started by blending a background using Catherine Pooler ink in Lime Rickey and Melon Ice and then I splattered some water on to the paper for interest. 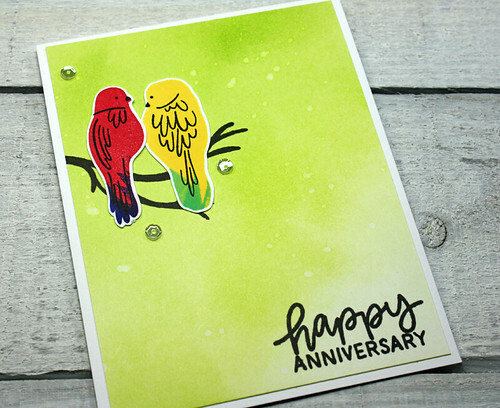 The two lovebirds from the set were each stamped with two shades of ink. The first was Rockin' Red with Suede Shoes added to the tail and the second was stamped with Limoncello and Fiesta Blue was added to the tail. 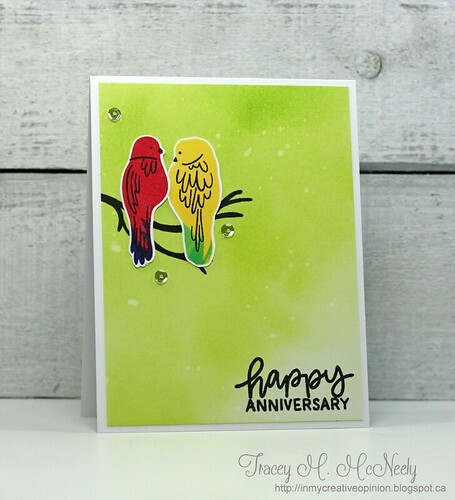 I adhered the two birds to sit on a branch that was stamped with Midnight ink and the sentiment at the bottom was also stamped with Midnight ink. 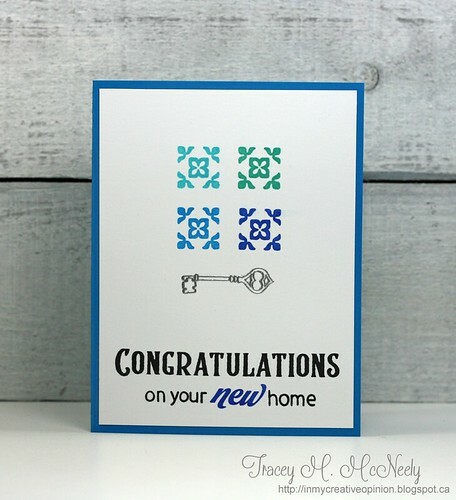 For my third card I used the new Congratulations stamp set from the collection. 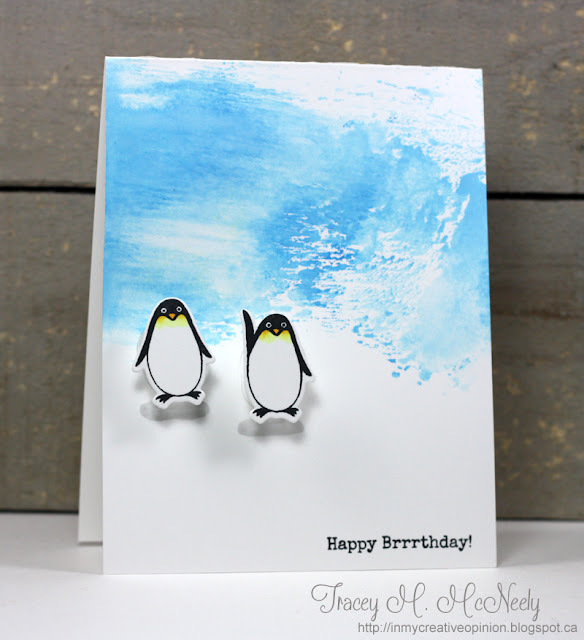 The perfect mix of sentiments and graphic images to create cards for so many happy occasions! I started by drawing a cross bar in the card base lightly with a pencil. 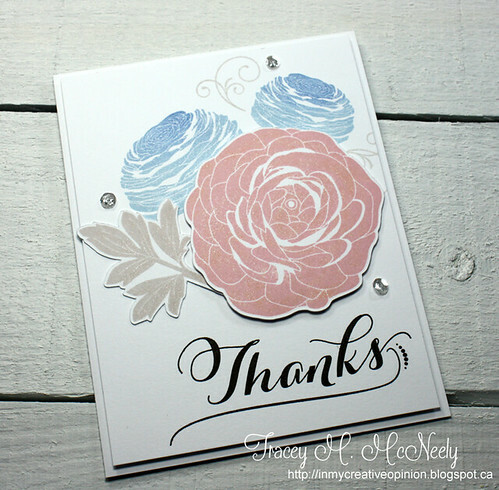 Then I stamped the graphic square tile four times, in four different Catherine Pooler ink blues in each of the four quadrants! 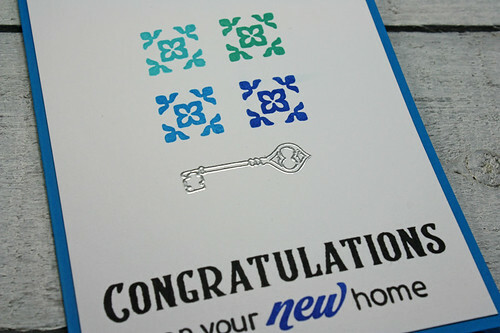 The key from, The Key stamp set, was embossed in silver underneath the design. 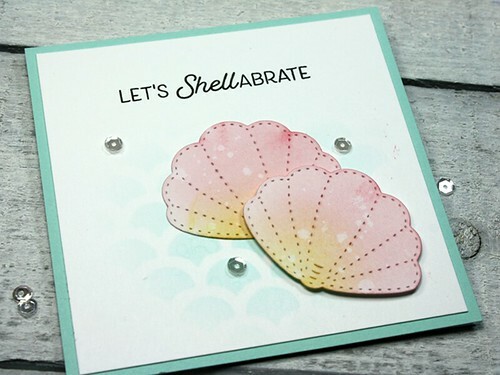 I finished off by building the sentiment using the Congratulations stamp set at the bottom. 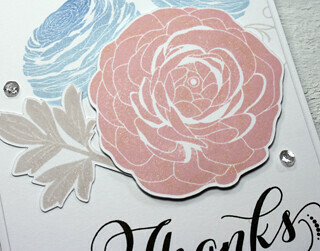 The panel was adhered to a blue, side folding, card base so that it would sit more stable on the recipients table. Thank you so much for visiting me during the release which is available now! 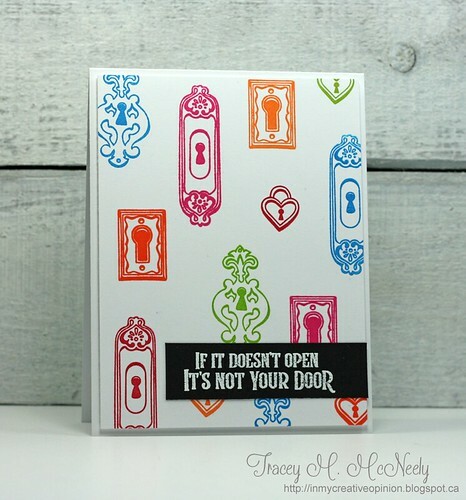 This is fabulous collection that will be sure to sell out fast! I am up on the A Jillian Vance Design blog today with this change of pace from Christmas cards! I hope you head over to have a look, we'll see you there!